Our customers agree that our design consultation at your home is the best way to make sure your outdoor project is everything you want it to be. It’s simple…just pick up the phone or click on our “InstaQuote” button and our professional staff will schedule an appointment for one of our talented designers to come to your home to discuss all of your wants and needs. Here’s how it works…our “outdoor living expert” will meet with you at our “design center” or your home, daytime, evening and weekends, he will have an iPad filled with photographs of successfully completed projects. You can view the photos and mark the ones that you like. These selected photos that you choose allow us understand the design style that you like. We will ask you to have a copy of the survey of your home. This survey speeds up the design process. We will take notes on items discussed and may create a sketch to show ideas. This exchange of ideas will get your project going in the right direction. Next step is the design process. If your project is relatively simple we may be able to simply create a proposal based on your ideas during our first meeting. 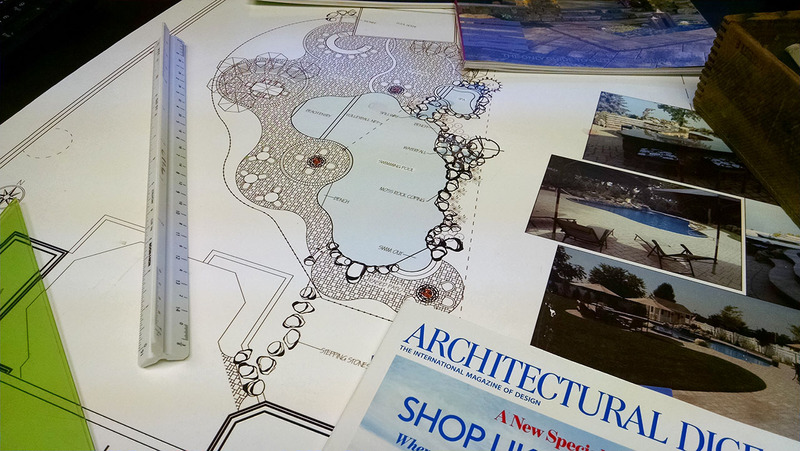 If a plan or drawing is desired we will take your survey, scan it into AutoCAD system and our staff of designers will create a plan for your outdoor project. There is usually a small cost for most plans but most clients agree that this “road map” is the best way to know exactly what is being proposed and you get to keep this drawing. These plans are created to give you a visual idea of what we are proposing, not just words hand written on an “estimate”. For those who prefer a more detailed or colorful plans we also offer hand drawn renderings and 3D animation. An example of a 3D animation is shown here. The full resolution HD version shows amazing details and life-like animations, and brings the reality of the design to life. Click on “Full Screen” in the bottom right corner of the video to see the amazing details. Linda will contact you to schedule a presentation appointment at our “design center” so your designer can present this 2D paper plan or artistic rendering. We will have photos of your house and yard as it exists along with photos that show complete projects with similar design elements. This whole process is called a “design consultation“. What you get is an expert to listen to your goals, wishes and dreams and translate ideas to paper. 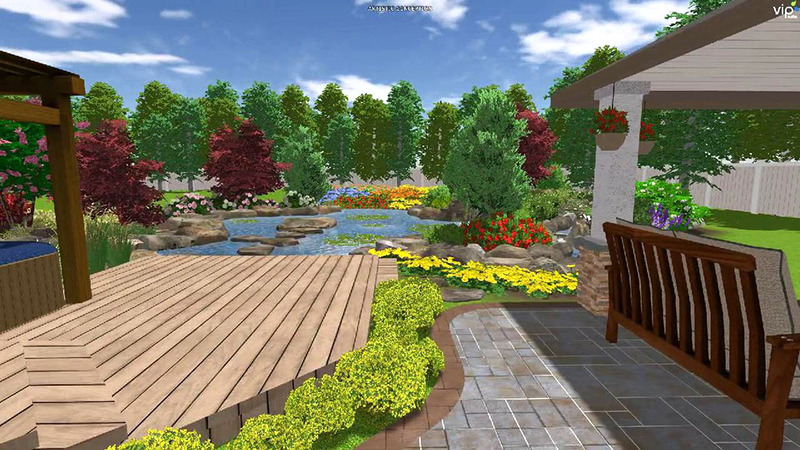 Our designers have years of experience in the landscape design/build industry and bring creative solutions to the table. You will also receive a detail proposal and price quote. We believe that no one likes surprises, so we also list the items not included that may impact your decisions. Modifications or changes to the plans are never a problem. There is never a charge for a consultation at our “design center” located in Huntington Station. If we travel to your home for a first meeting and we are investing several hours of valuable design time, we do charge a minimal design consultation fee based on the scope of the job and geographical location. This fee is collected at the time of the initial visit and will be applied to the cost of your job when you move forward with the project. The Deck and Patio Company has a long-standing reputation for hard work, dedication, total reliability and top quality workmanship. We are confident in our ability to provide the most competitive and practical solutions for the design and implementation of your project. So let’s get started: watch the video and call Linda at 631-549-8100, or fill out the CONTACT US form. We are anxious to meet with you! 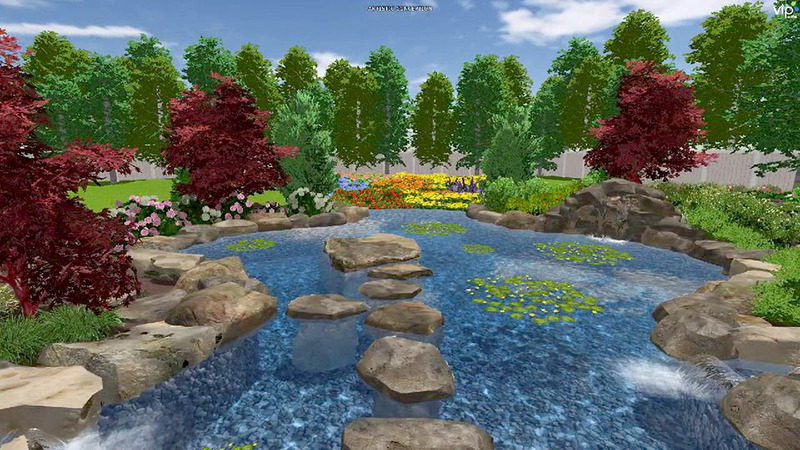 The 3D Animation videos below show different views of new project designs. Play each video by clicking on the “Play” button in the lower left corner of the video, and click on “Full Screen” in the lower right corner to see all the amazing animations and details.